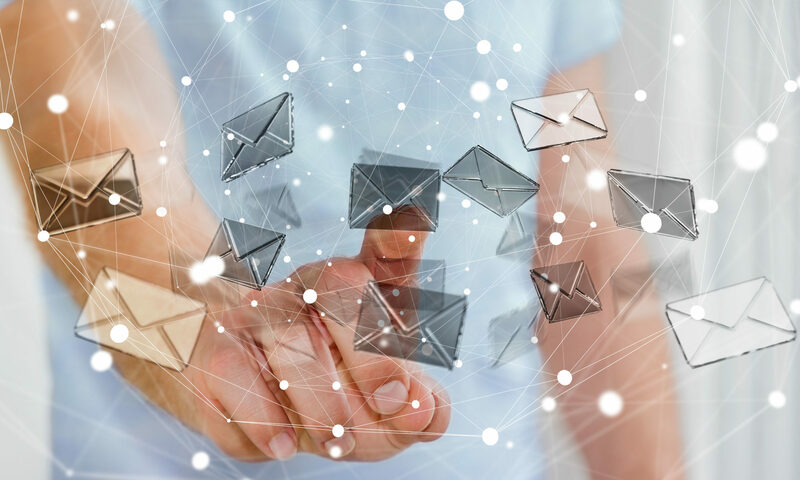 Are you looking for the best way to open .eml emails on your Windows computer? You are probably finding are a wide range of choices, from a free software to online viewers, to professional desktop software that can convert .eml to .pdf files and lots of other formats. They all work a little differently, come with different capabilities and support. Some, unfortunately, are not worth the free price and come from questionable sources. If you are engaged in the hunt to find the best .eml viewer for your needs, then this article is for you. We will look at different options, some of them free, beginning with the most simple .eml viewer, then moving into more capable options. 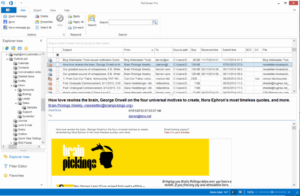 Thunderbird is a free email client that can open .eml files. It requires setting up a full email client, but if you have the time it is a good option. We prefer the portable edition. If you have just a few .eml files and you want to see read them without installing any special software, try Encryptomatic LLC’s free online .eml viewer. Just upload your file and in seconds it will appear in our web browser. You can then download the file attachments or print it. Windows users who want a simple way to open .eml files should try MessageViewer Lite. 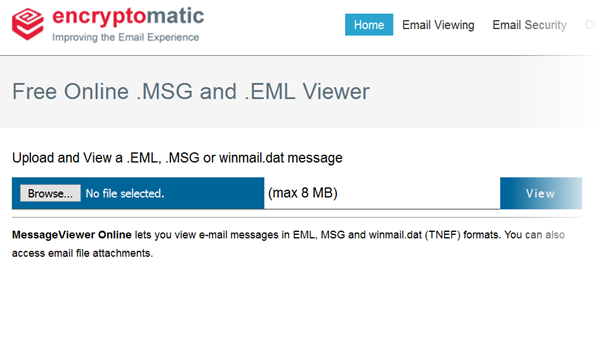 After a quick installation, you can open .msg and .eml files by clicking on them. The message will then appear, and you can print it and open the email file attachments. Outlook is not required to use MessageViewer Lite. The integration with the Windows file system makes this an easy solution to use. MessageViewer Lite can also be deployed in a Citrix enterprise environment, making it an excellent companion to CRM systems that store .eml files as records. The cost is $24.99 and a free trial is available on the product home page. Simple .Eml viewer for Windows. The most capable and advanced .eml viewer on the market, Eml Viewer Pro is capable of managing folders with thousands or .eml files, as well as .msg, .ost and .pst files. Eml Viewer Pro will organize your .eml files from nested folders and display them in an organized mail list. You can search through your .eml files without an indexing delay. Microsoft Outlook is not required if you need to work with those email file types. Bulk exporting and conversion of .eml files to pdf, mbox (Thunderbird), Csv (Excel), or even .ODT (Word/LibreOffice) documents is supported. You can also bulk print .eml files to a physical or virtual printer. Eml Viewer Pro is $79.99. Thanks for reading. We hope this article helps you on your way to discovering the best .eml viewer to meet your specific needs. If you have any questions please post them in the comments, or email supportline at encryptomatic.com, or use live chat system on this web site. We are always glad to help.